We complain about the cold and the weather, but think about what the cowboys had to endure. They sure didn't have the luxury of central heat, pickup trucks, or even weather services that give a hint of things to come. What and who did they rely on? Probably the farmers almanac if there was one purchased from the general store. For the most part, those rugged individuals relied on what they could gleam from the animals in their care. 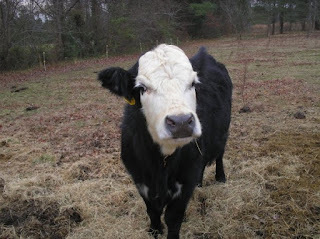 I know, if my cow is laying down in the winter, cold weather is coming. In the summer, spring, or fall, I'm looking at the possibility of thunderstorms. An early winter coat on the horses usually equals an early onset of winter. In the past few days, our usual deer visits have come and gone without a visitor showing up. 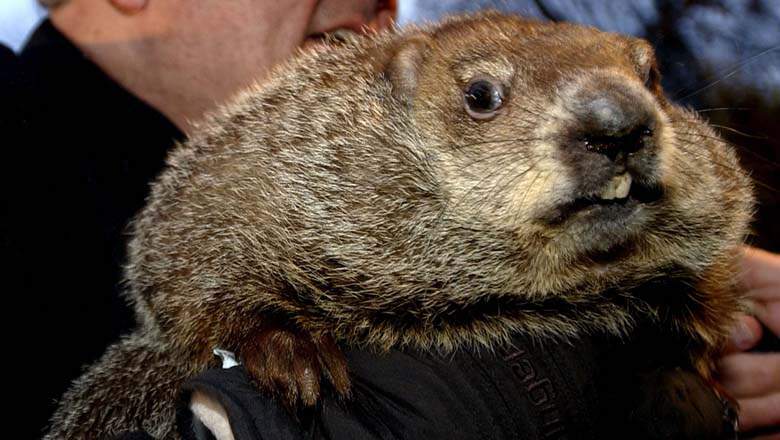 Sure enough, today was blustery, rain changing to snow and the temperature has dropped to just barely above freezing. BURRRR!!! So, as I sit in my nice warm house, looking at the occasional snow flurry roll by, I'm lucky to have my weather predictors working over time to warn me of the upcoming changes. Mooo 've over Punxsutawney Phil, I'll stick with Memphis Blue, Spirit, and Esmeralda to keep me informed on Mother Nature's travels. This has nothing to do with my book, Otto's Offer, that was published two days ago, but I couldn't help passing along a little tidbit about an area of the United States that I visited for the first time very recently -- Quartzsite, Arizona. 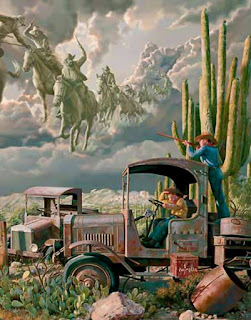 Quartzsite is a small town in the middle of the desert where in the winter the wind always blows -- a lot -- constantly. It sure did the couple of days I was there, and I was told it is the norm. It has a certain beauty to it. 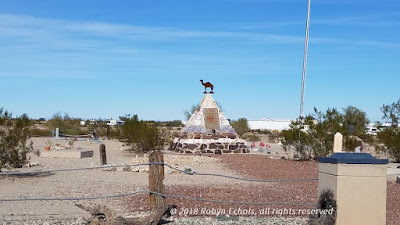 The town of Quartzsite has an interesting history I will feature in the future, but today it caters to bazillions of snowbirds and others who scatter their RVs across miles of desert -- much of it BLM land -- which can be rented very inexpensively for months at a time for dry camping (as in, no facilities). In addition to several gas stations, truck stops, groceries and the obligatory fast food, it offers a museum, an out of this world flea market (don't drive down the street with the flea market unless you have a lot of gas in your car and lots of time to kill--it takes forever.) In addition, there are more RVs for sale on sales lots than there are people in Quartzsite. Beyond that, the big attraction in Quartzsite is the Hi Jolly Monument which is located in the Hi Jolly Quartzsite Cemetery and oversees the graves there. 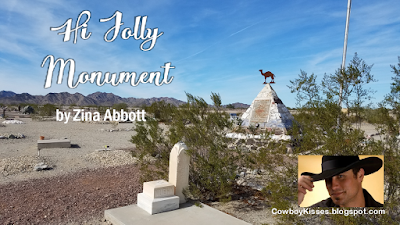 The famous camel herd with which the name of Hi Jolly is linked constitutes an interesting sidelight of Arizona History…. Jefferson Davis (Afterward president of the Southern Confederacy), as Secretary of War, approved a plan to experiment with camels for freighting and communication in the arid southwest…. Major Henry C. Wayne of the U.S. Army and Lt. D. D. Porter (later a distinguished admiral in the Civil War) visited the Levant with the storeship Supply and procured 33 camels which were landed at Indianola, Texas, February 10, 1856. 41 were added on a second voyage…. With the first camels came, as caretaker, Haiji Ali whose Arabic name was promptly changed to Hi Jolly by the soldiers, and by this name he became universally known. His Greek (?) name was Philip Tedro…. 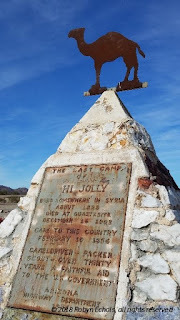 On the Beale Expedition in 1857 to open a wagon road across Arizona from Fort Defiance to California, the camels under Hi Jolly’s charge proved their worth. 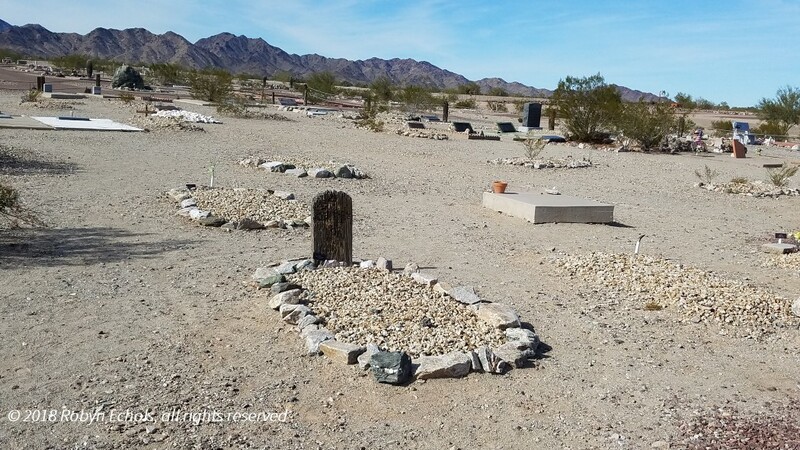 Nevertheless, the War Department abandoned the experiment and the camels were left on the Arizona desert to shift for themselves, chiefly roaming this particular section [La Paz Valley], they survived for many years creating interest and excitement…. Officially the camel experiment was a failure. But both Lt. Beale and Major Wayne were enthusiastic in praise of the animals. A fair trial might have resulted in complete success. My husband and I have become recent fans of the Western movie channel on TV, mainly because we don’t like many of today’s movies and shows. 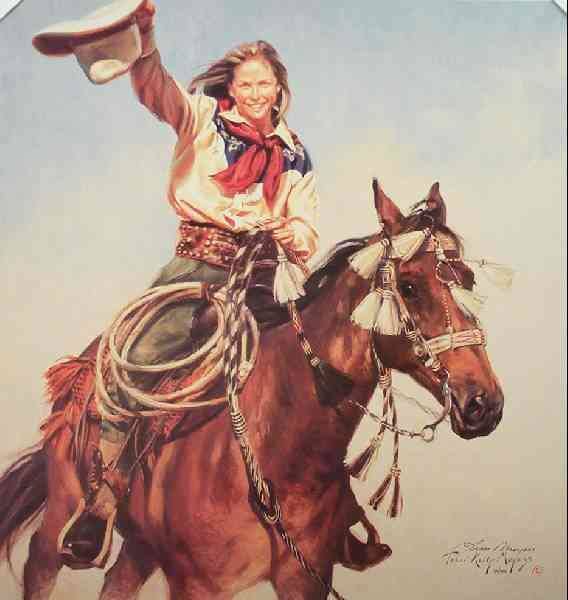 We’ve had a great time watching Gunsmoke, Bonanza and a vast array of cowboy movies made from the 50s to the 80s. 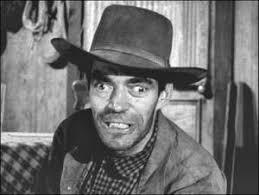 Last night we watched Jack Elam in Support Your Local Sheriff. 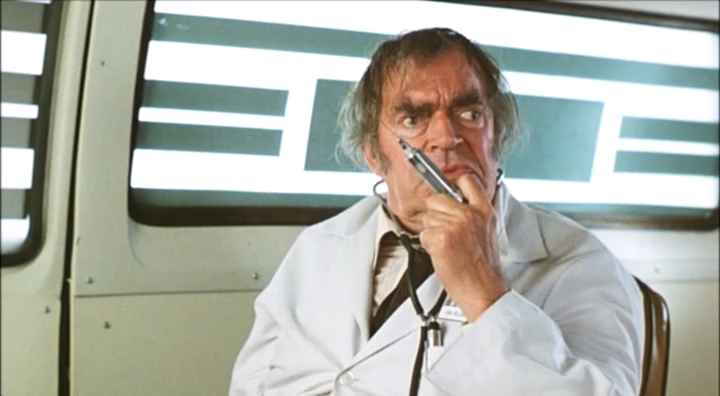 It seems each time we watch feature films or television, Jack Elam is in nearly every show. Curiosity got the best of me, and I turned to my friend, Google, to find out about the movies he’d made. His is an interesting life story. 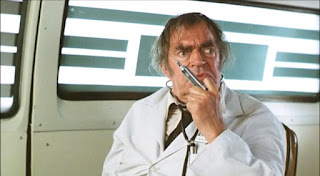 Jack Elam didn’t start out to be an actor. He picked cotton with his family as a child. After graduating from Santa Monica Junior College, he became an accountant. Among his clients were movie mogul, Samuel Goldwyn, and the Hopalong Cassidy production company. Jack played bit parts, usually uncredited, in the films “Trailin’ West” (1949), “Quicksand” (1950) and “One Way Street” (1950). Those three bit parts started one of the most prolific careers in Hollywood. He helped arrange financing for the Robert Preston film “The Sundowners” in exchange for a larger role. Then came a tough-guy part in 1951′s “Rawhide,” starring Tyrone Power, which helped make him a star. 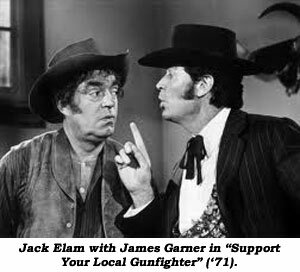 Elam was equally skillful at playing malicious killers, grizzled sidekicks or comedy characters. His most distinguishing characteristic was his off-kilter left eye. He lost the sight in it when he was stabbed with a pencil at a Boy Scout meeting when he was twelve. Now you just couldn’t make that up. 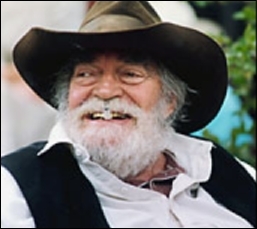 Elam appeared on over twenty episodes of "Gunsmoke" during the 1950s and 60s, as well as several television movies based on Louis L'Amour novels. His more than 80 feature films include memorable performances in "High Noon" (1952), "The Far Country" (1955), "Once Upon a Time in the West" (1969), "Rio Lobo" (1970), "Pat Garrett and Billy the Kid" (1973), and "The Cannonball Run" (1980). He made his TV movie debut in 1969 in The Over-the-Hill Gang. The TV reunion show, Bonanza: Under Fire (1995) was his last screen credit. See, I told you he was in almost everything done during this period. He even starred with Raquel Welch. 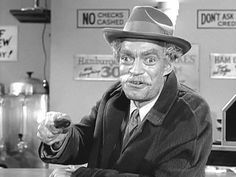 Jack Elam died at his home in 2003 in Ashland, Oregon, but he’s left his mark on the television and movie industry and a myriad of fans of all ages. Thanks for the good times, Jack. 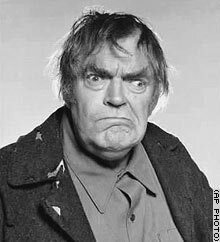 Are you a Jack Elam fan? 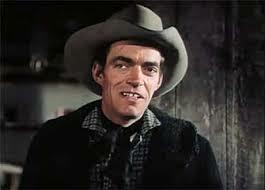 What is your favorite Jack Elam television show or movie? Who the Heck is Juliette Douglas? Well...I’m sitting here snowed in until probably Thursday when the temperatures warm up enough to melt the 8 to 12 inches of snow and ice that Western Kentucky has received since the 12th of January. We don’t see an event like this very often here so it paralyzes us for the duration. The only things on the roads are 4-wheelers. Even the plow trucks are having trouble clearing the roads. So, it’s a BIG event for us country folks in small town rural America. So...guess I’d better fill ya’ll in on me! 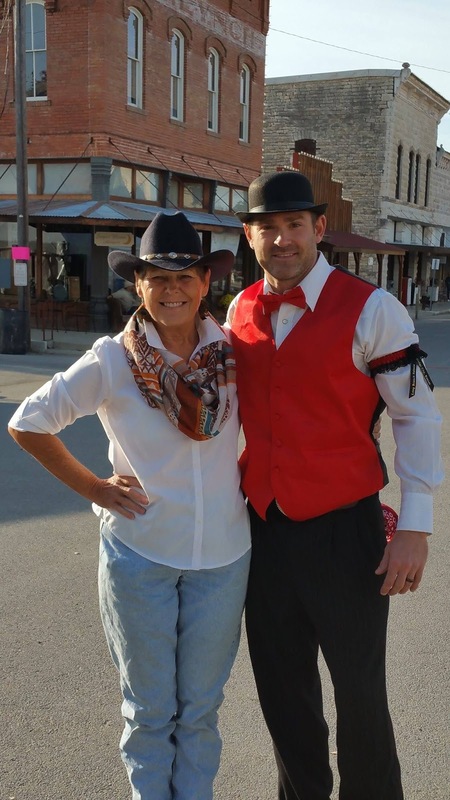 First, I would like to thank Julie Lence for inviting me to participate in Cowboy Kisses. I am honored. When I’m not playing author Juliette Douglas, I wash, wax, and detail boats for a living. Yeah, I know, but when you live right next to two big lakes it’s kind of a handy job to have and a lot of people will hire someone to clean their boats. I have cleaned boats as long as 100 feet and 3 stories high. Floating hotels, if you wish. I have also worked for one of the big marinas on the lake cleaning the inside of their rental houseboats; hard work but good money. Now that I’m older and it’s become too much for me, I only do pontoons and runabouts that are brought into a small marine repair shop a few miles from my house that customers want cleaned while they are there. 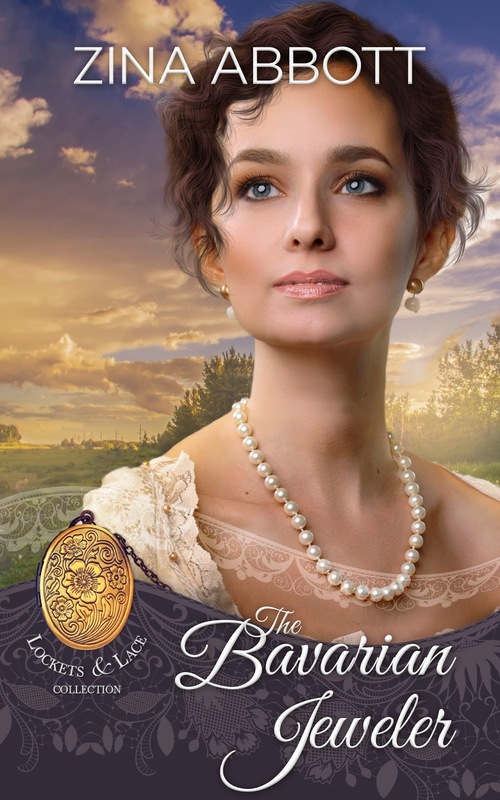 Why do I have a pen name? I used to have a Scottish terrier named Juliette; she was a rescue and I was her 3rd owner in her short life of 8 months. We clicked and we had many long, wonderful years together. 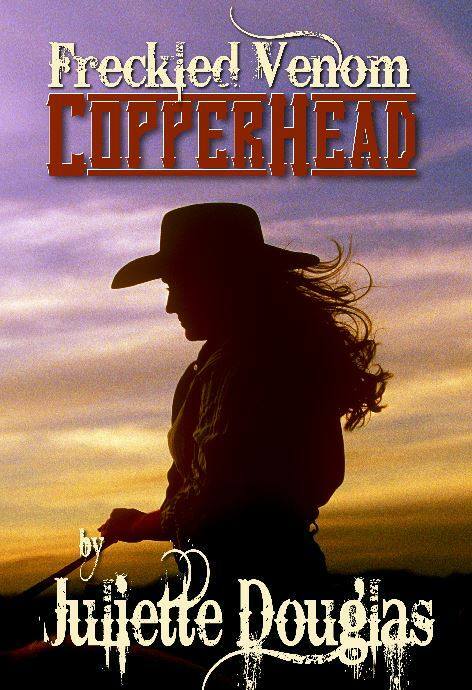 I had to send her across the rainbow bridge during the writing of my first book Freckled Venom Copperhead, and to this day I still miss her terribly. Even though I have other rescues now, she remains deeply embedded in my heart. My maiden name is Douglas and I always called her Juliette Douglas. It is in honor of her that I chose that pen name. Why do I write? Who knows? Several years ago, I woke up with stories in my head and couldn’t get rid of them until I wrote them down. Back then I didn’t have a computer, internet or nuttin’. All I had was my coffee pot, microwave and TV. My step-mom gave me an old 1995 computer that used floppys. (Since then I’ve killed 4 computers…sigh) I pounded away on three stories; the first one stunk so bad I deleted it. I have rewritten it now to eventually become Pocketful of Stars. The second one stunk, too, but I have also rewritten it to become Bed of Conspiracy, eventually. Now you have to understand I have never written a thing in my life except college papers; I guess this is/was a mid-life crisis? Anyhoo, I feel God showed me a talent I never knew I had and I thank Him everyday. I wrote my first untitled book and wanted an opinion from someone who knew the business to tell me if I had something here or should I hang it up. Through a very dear friend, I met his cousin who was a tough retired publisher and lo and behold, he actually like my first rough raw draft. He gave me pointers on how to formulate a manuscript and all the other good stuff green authors need to know, but don’t. He even suggested the title Freckled Venom. Now I have a series under that name with many more to come. Whenever I return to White River and these characters, I feel as if I had come home again. I recently saw him at his cousin’s and my dear friend’s funeral and he told me, “I honestly never thought you would make it. 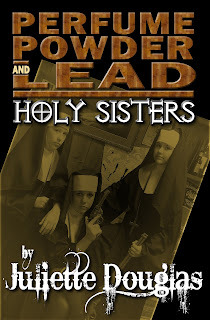 It’s a really tough business.” High praise indeed! Needless to say, he receives a copy of all my books and he just beams with delight when he receives a new story. 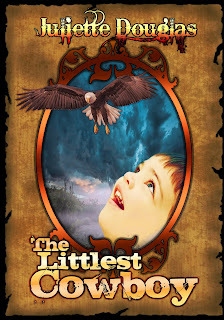 Since being published in 2014, I now have seven novels out and hopefully more to come. My goal for this year 2018 is that I hope to have four new ones published including We Are Awesome Possums, a children’s book about my experience raising eight abandoned baby possums. One possum who I still have is un-releasable due to physical problems. Jake will be two in February. 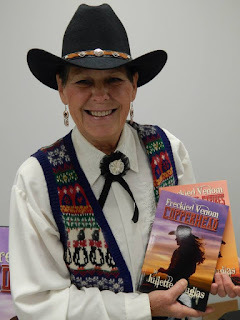 I do a lot of events where I am a vendor selling my books, it's been a lot of fun and has also helped to spread the word on my Western Collection. The most fun I have ever had was to travel 2200 miles round trip to Hico, Texas for The Billy the Kid Film Festival in 2015. 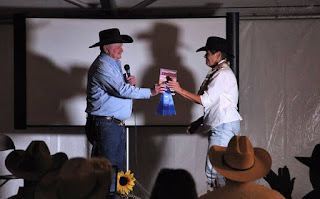 My mentor and fellow western author Jared McVay brought my 1st place Laramie Award for best debut western novel and presented it to me at the film awards banquet. "It's not your typical mail order bride story nor the typical historical romance, but I think that's why I found it entertaining. 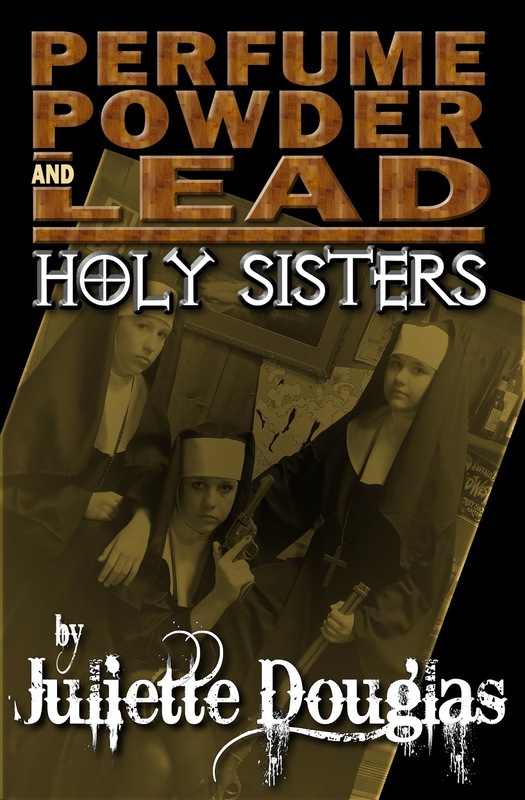 Well worth the 99 cent price tag." A Wild Card of a Western!! They were by no means perfect...They knew how to use a gun. Two were rough around the edges...they all had a shameful past...they just wanted a new life. Boomtowns sprung up across the United States during the rapid growth of the 19th century. Adventurous travelers and those seeking a better life were drawn to a burgeoning town for opportunity. Their presence helped the economy grow, more people were drawn to the town, and the growth cycle continued. 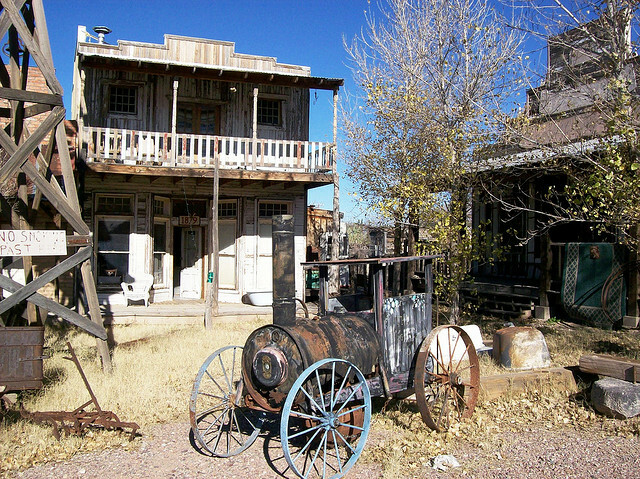 Gold rush fever was responsible for many 19th century boomtowns, some of which remain stable economies to this day. Even Denver, Colorado and San Francisco were once new, exciting western boomtowns. 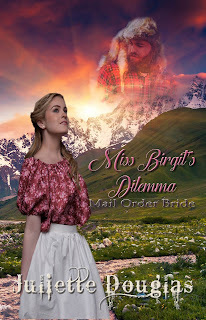 Conviction, the setting for the McLarens of Boundary Mountain series, was inspired by two real towns first settled in the 1850s. Together they formed a bustling metropolis with a strong economy. 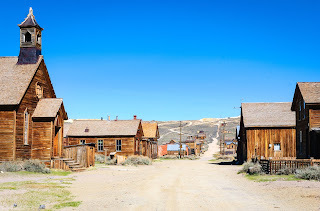 Bodie, California is an eerily well-preserved ghost town in northern California. It enjoyed its clandestine boom in the 1870s and 1880s thanks to the discovery of gold. 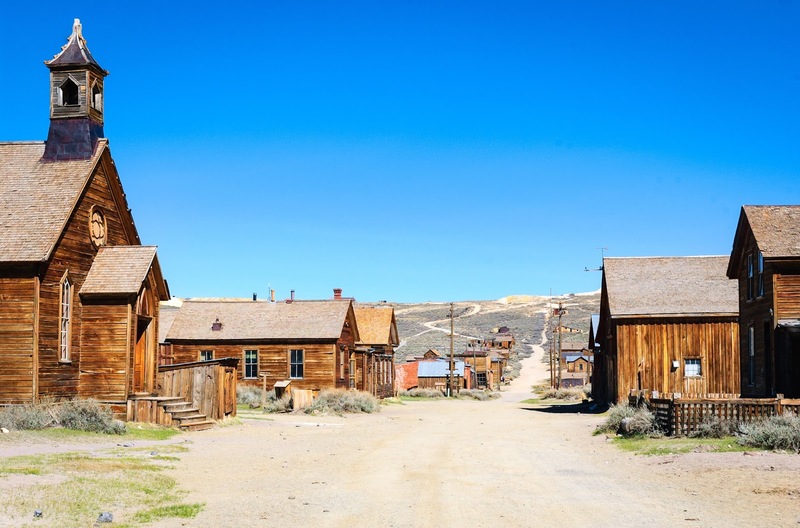 At its peak, Bodie boasted 65 saloons along its main street, a population of around 7,000 people, newspapers that published several times a week, a red light district, volunteer firefighters, and even a local brass band. 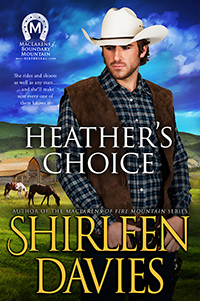 Heather’s Choice, book five, MacLarens of Boundary Mountain historical western romance, is located on the Feather River, near the original town of Marysville, California.